Click here to visit the Coupons site and you’ll be able to print a coupon good for $0.75 off the purchase of any Crisco Product. You can click the back button to print a second one if you’d like. 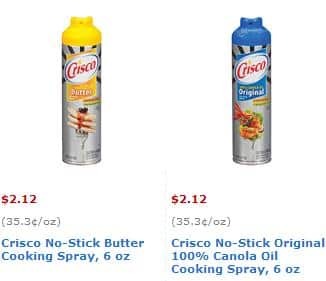 Walmart has the 6oz Crisco cooking spray for $2.12, so just $1.37 after this coupon.